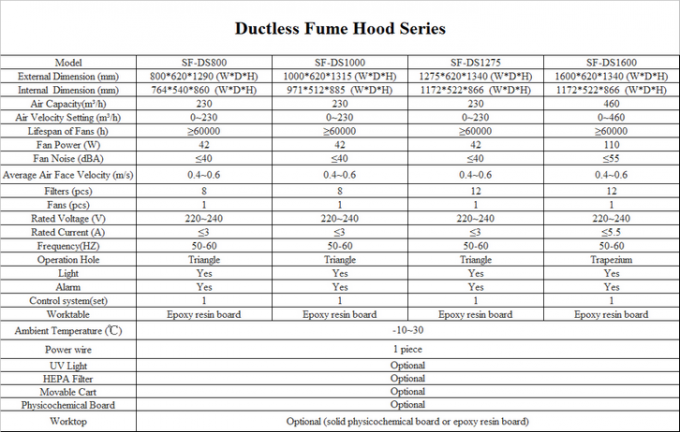 pipe Net-free gas fume hood series line with the ISO 9001, ISO 14001, OHSAS 18001 certification. 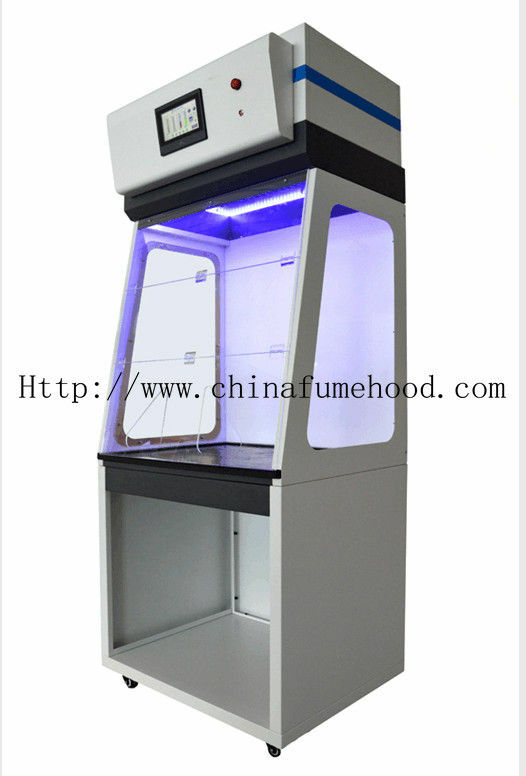 Product is designed to protect the safety of laboratory personnel in the operation, operators can be avoided in the experimental inhalation of toxic, pathogenic or toxic chemical substances of unknown, efficient air purifying fume hoods and the laboratory, providing security protection for laboratory personnel. 2. 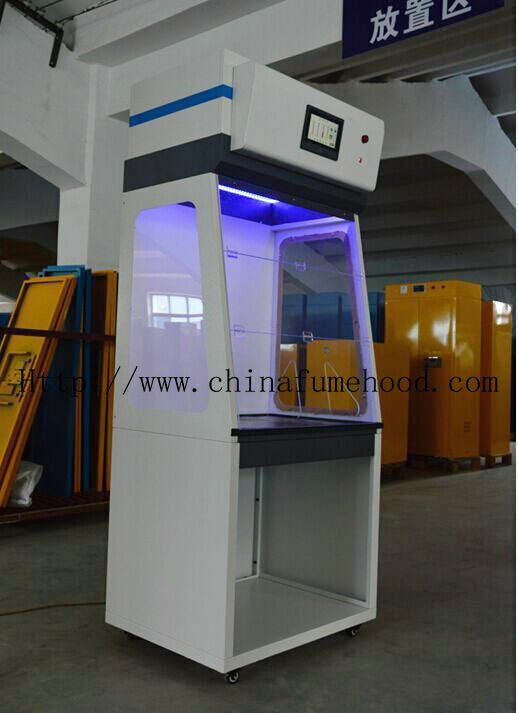 Front panel and side panels: info 6mm acrylic sheet, excellent weather resistance, excellent chemical resistance, anti-aging, colorless and transparent, surface light, visual comfort, elegant appearance. 3. 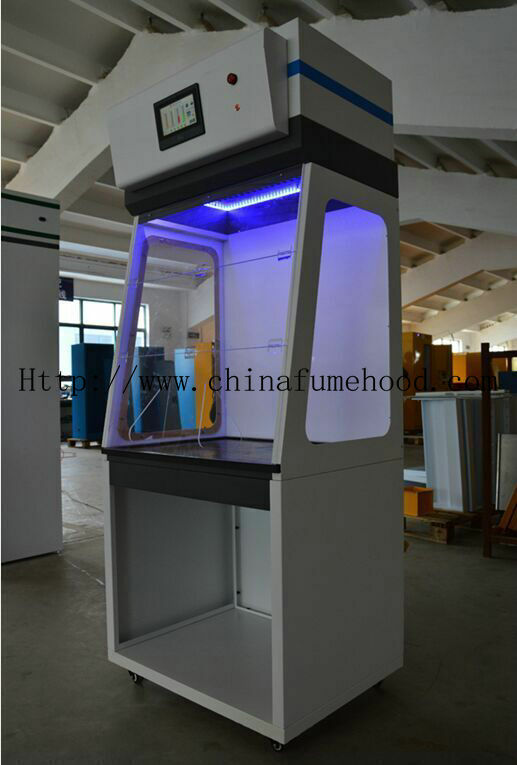 Seven-inch LCD touch-screen display, real-time temperature and humidity monitoring, fan control, VOC concentration in environmental monitoring and alarm systems. 7. Epoxy resin has excellent chemical stability, superior corrosion resistance, good impact resistance without damage, high temperature performance, one core, long service life, no delamination, no expansion, no cracks.